Children's card games have been enjoyed for generations but no one knows who invented these games. 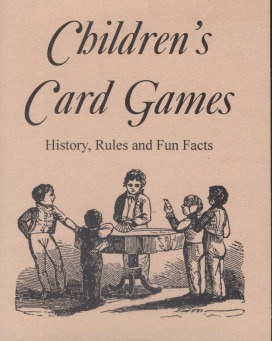 Card games designed specifically for children's amusement and education did not appear until after the mid-18th century. Included in this book are the official rules for 12 popular children's card games, the history of the Card playing and fun facts. Booklet, c2004, 27 p. : ill. ; 14 cm.